Some statistics can be so unbelievable, or deal with concepts so vast, that it’s impossible to wrap our heads around them. The human mind can only do so much to visualize an abstract idea, and often misses much of its impact in the translation. Sometimes you just need to step back and take a good, long look for yourself. That’s why we just put 700 red dots on a map. We as a nation have problems that we must face head-on. Visualizing them might be the first step in tackling them before it’s too late. 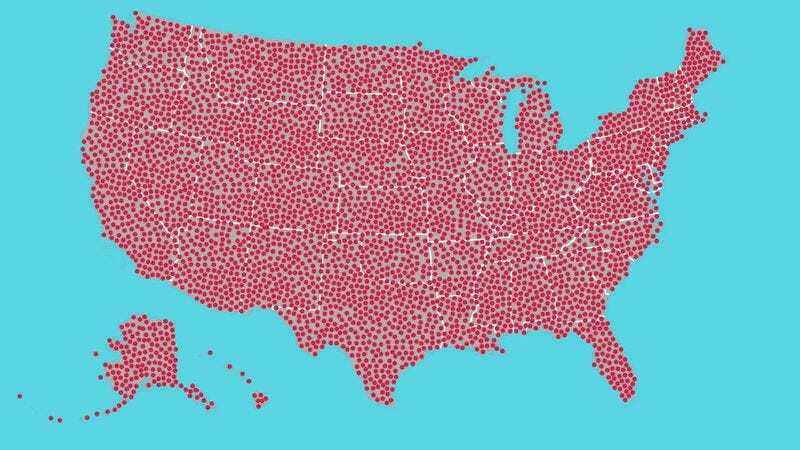 Now that we have such a potent image of 700 red dots on a map, only one question remains: Where do we go from here?